Wagner Surveying Associates Inc. has over 40 years of experience providing accurate land surveying services and mapping data. We are fully licensed and certified with state and national land surveying organizations and can provide boundary and elevation data for construction, real estate, flood certifications and much more. Whether you’re about to start a comprehensive construction project or you’re determining property boundaries for a city project, trust in the professionals at Wagner Surveying Associates Inc. for land surveying in Northwest Wisconsin. Our seasoned professionals pay close attention to all details and variables, ensuring the most accurate surveying and mapping data possible, no matter what. With over 40 years of experience and a firm foundation of customer satisfaction spanning four decades, Wagner Surveying Associates Inc. is your premier candidate for any land surveying needs in Northwest Wisconsin. Learn more! 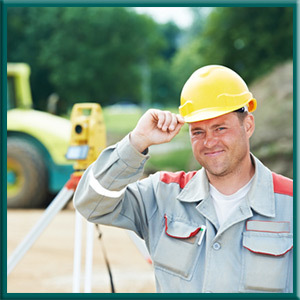 Our experts have over four decades of surveying experience. We are experienced in both elevation and topographic surveying in Northwest Wisconsin. We specialize in surveying for flood plains, architectural construction and condominium construction. We offer certified zoning services. "We use them all the time! Great customer service, quality, and value."